Clumsy's Blog | Design, Art, Illustration and Adventures of a Clumsy Nature! Last weekend i was at the Hot Rod Hayride, possibly the most fun weekend you could ever have! I had a little stall on the Sunday morning and sold lots of my work and met some truly lovely people! 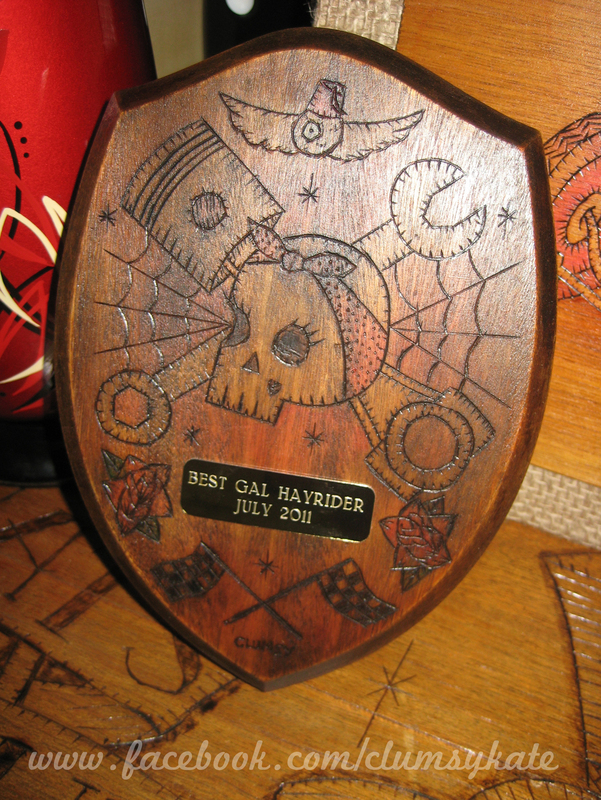 I also made a trophy for the Best Gal Hayrider, so i’ll let y’all know when i find out who the lucky winner was! A big thanks to everyone who makes this event so great especially the lovely Anna Stevenson! See you all there next year! I was recently contacted by the guys from Rad Dad Collective, a neat little blog about Artists, Skateboarders, Photographers, Urban Explorers, Street Urchins. Anything to do with the “Scene on the Streets”. They had bought one of my tee shirts I designed for The House skate park in Sheffield, and had tracked me down via a chance encounter with a friend of mine in a pub in Derby! Anyway, we had a good old chat and they asked me some damn good questions! Head to Rad Dad Collective to see the interview in full, and check out their cool site! 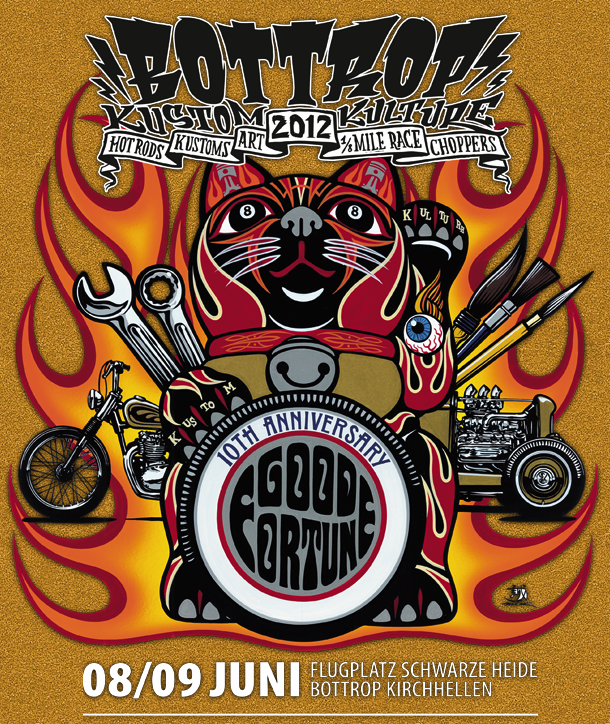 Those lovely people from 20-21 Visual Arts Center are heading to Tattoo Freeze this weekend. 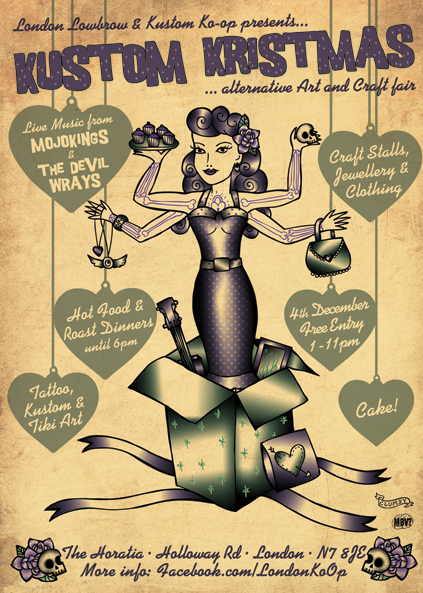 They will have an exhibition area and a stall selling lots of cool stuff including some Clumsy things. 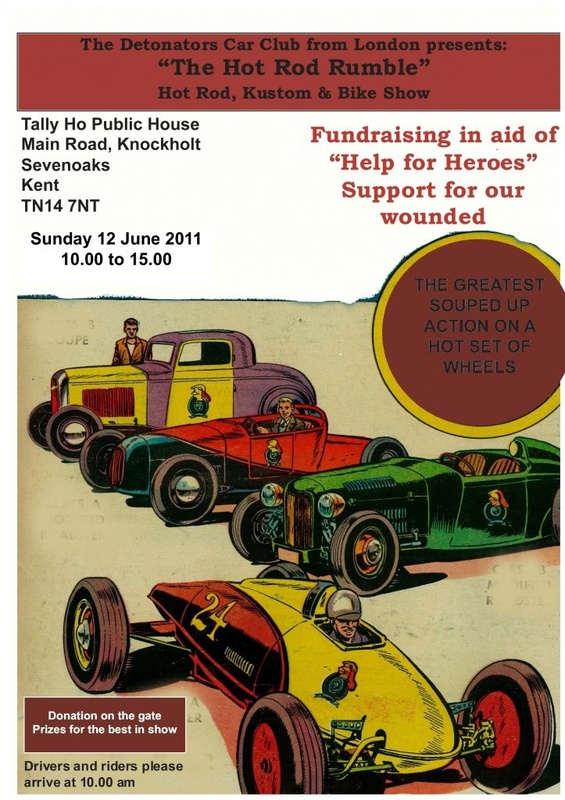 Sadly I can’t make it myself, but if you are there over the weekend go and say Hi to the lovely Shell and the team!